This happened to be my first time visiting Princeton University and what better reason to drive almost two hours than to capture an engagement session?! 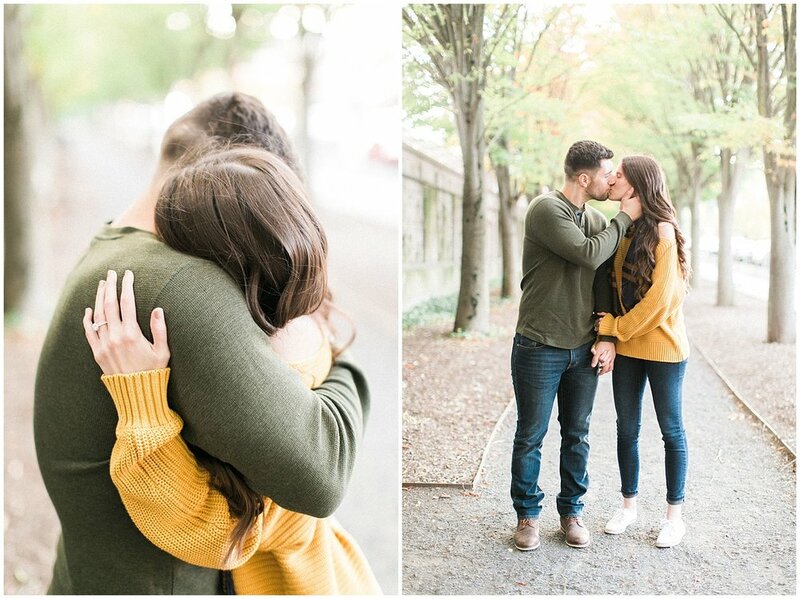 To say that this was a perfect fall engagement is an understatement. The old campus was flooded with red and yellow foliage. Not only was the campus beautiful with its old architectural buildings, but the town itself was so quaint and beautiful. I mean I felt like I was walking through an episode of Gilmore Girls! Pammie & JP are NJ natives are wanted to stay local for their engagement session. They met through a friend at a Halloween party, and it turned out that our session was just days before the festive holiday! Talk about perfect timing! I can’t wait for their summer wedding next year!